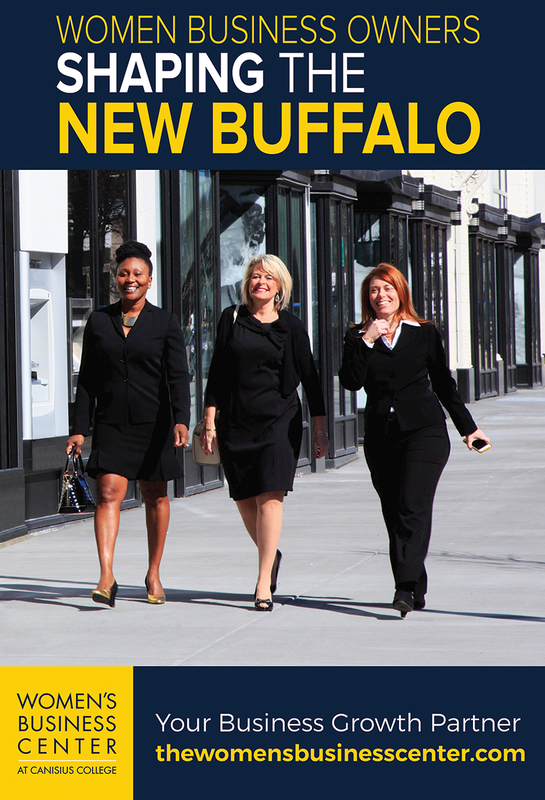 (Buffalo, NY) The 2015 Economic Impact Survey numbers tell the story – 28 new businesses and 176 jobs were created by the Women’s Business Center at Canisius College (Women’s Business Center) clients in 2014. The survey indicates that the Women’s Business Center and its members are shaping Buffalo’s economy in sectors such as tech startups, construction, manufacturing, medical, legal and professional services. “This is an exciting time in our region and for the Women’s Business Center. Women are building a culture of entrepreneurship by participating in programming and collaborating with the community and one another. We embrace this energy and seek to be a true partner providing resources to assist each business with their growth plan”, stated Sara Vescio, Executive Director of the Women’s Business Center at Canisius. The Women’s Business Center is introducing a new branding campaign under the umbrella Women Business Owners Shaping the New Buffalo. The Campaign includes a new website, social media pages, radio and television commercials, and signage. In addition, the Women’s Business Center is introducing new training programs such as the Venture Capital Training, the Contracting Series for M/WBE’s and Ignite Sessions, a one on one service encouraging women to sit down with a WBC team member to share their ideas and start the business planning process. The Ignite sessions are designed to continue the Center’s focus on encouraging new startups and business expansion. The Women’s Business Center at Canisius College would like to help business owners retool and build successful businesses in our changing ecosystem. The Women’s Business Center has planned an array of programs and events that focus on providing entrepreneurs the information and tools they need to start and build strong and successful enterprises. The Venture Capital Training Series, starting Friday, April 22, is a collaborative event presented by the Women’s Business Center, Lippes Mathias Wexler Friedman LLP, Insyte Consulting, Launch NY, WNY Venture Association and Buffalo Angels. Business owners can register for this series and other programs at www.thewomensbusinesscenter.com or call (716) 888-8280. The Women’s Business Center at Canisius is a nonprofit organization dedicated to supporting women-owned businesses by empowering entrepreneurs to develop successful businesses through education, one-on-one counseling and building valuable networks. The array of business resources and personalized attention are focused on the growth of each business. To learn more visit www.thewomensbusinesscenter.com and follow us on social media.